ConspiraZine! : This Saturday on ConspiraZine! On Saturday, April 2 from 4-6pm (PST), ConspiraZine Radio features the riveting documentary, What In The World Are They Spraying? : The Chemtrail/Geoengineering Cover-up, by Truthmedia Productions promises to have people looking up in the sky. Chemtrails have long been debated and producer Michael Murphy and director Paul Wittenberger teamed up with world renowned author and documentary film producer G. Edward Griffin to combine their expertise and research to put an end to the debate about chemtrails. 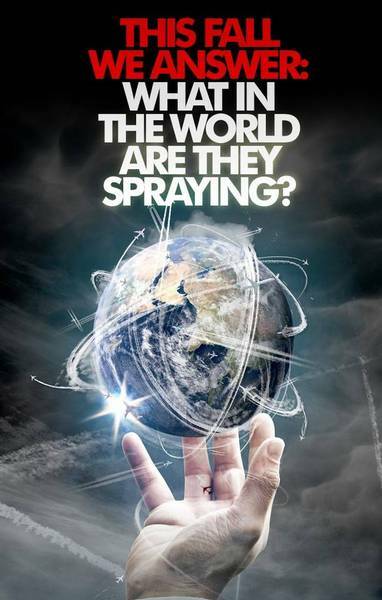 The world premiere of What In The World Are They Spraying? is being held in Atlanta, Georgia on October 23, 2010. This is the first-ever full length documentary about chemtrails. Michael Murphy is an independent journalist and political activist from the Los Angeles area whose work focuses on issues that go beyond the interest of the mainstream media. ConspiraZine can be heard on Free Radio Olympia, at 98.5 FM or you may listen via mp3 stream at www.frolympia .org.